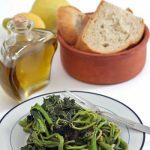 Bakaliko – What is the Mediterranean diet? 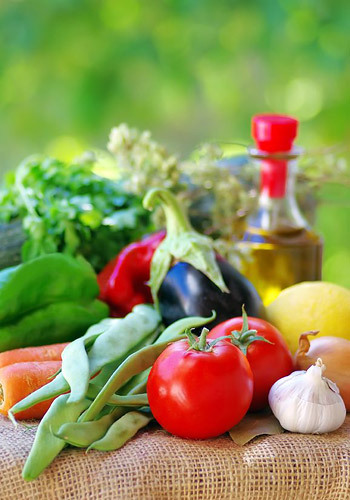 Home / Health / What is the Mediterranean diet? The health-promoting properties of the Mediterranean Diet have been documented in many countries throughout the world, but much of the convincing original research from the days of Ancel Keys and onward, has been done on the Greek population (and within that the region of Crete), giving credibility to the notion that the traditional Cretan Diet represents a highly regarded prototype of the Mediterranean Diet. 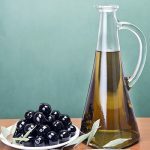 The traditional Cretan diet has been found to reduce mortality from coronary heart disease and several forms of cancer and to increase longevity. It is no surprise that Greece can claim a culinary tradition going back 4,000 years when Archestratos wrote the first Greek cookbook based on the philosophy that one should eat frugally and healthy, combining foods from the “Mediterranean triad: wheat-olive oil-wine”. 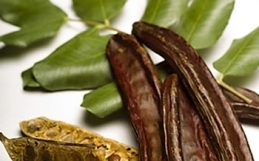 Even from ancient times, it was emphasized, that we should prefer legumes over meat and fruits over sweets and ideally consume -in small quantities – what isseasonal, local and fresh. Not very different really from what, millennia later, came to be known as the “locavore” movement and “farm to table” and “sustainability”. In 2010, UNESCO declared the Mediterranean Diet as part of the Intangible Cultural Heritage of Greece and other nations (Southern France, Italy and Morocco) recognizing its contribution to the world eating habits and health. In a few words, the Mediterranean Diet is a food intake based on wheat, olive oil and legumes combined with seasonal, local, fresh vegetables and fruits and with only small amounts of fish and meat. In simplified terms, the traditional Greek diet relies on a high consumption of extra virgin olive oil; high consumption of plant foods, including vegetables, legumes (lentils, chickpeas, split peas, broad beans) fruits and unrefined cereals (oats, barley); preference of fish over meat; preference of honey over sugar and an emphasis on feta cheese and yoghurt rather than other dairy products. 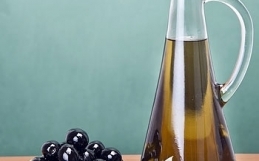 A moderate consumption of wine, mostly during meals, is also considered beneficial, as is the extensive use of many aromatic herbs in cooking, which enhance the flavor and the healthful properties of the foods. The combination of food intakes is of fundamental importance, but it is evident that the high quality of the foods is also critical. Greece is justifiably proud of the high quality and palatability of its food products, many of which are now PDO (Protected Designation of Origin) and PGI (Protected Geographic Indication). The traditional Greek diet, as a prototype of the Mediterranean Diet, has finally been recognized for its health-promoting attributes. Now it’s time to get to know the wonderful products that form the components of this renowned way of eating and way of life.